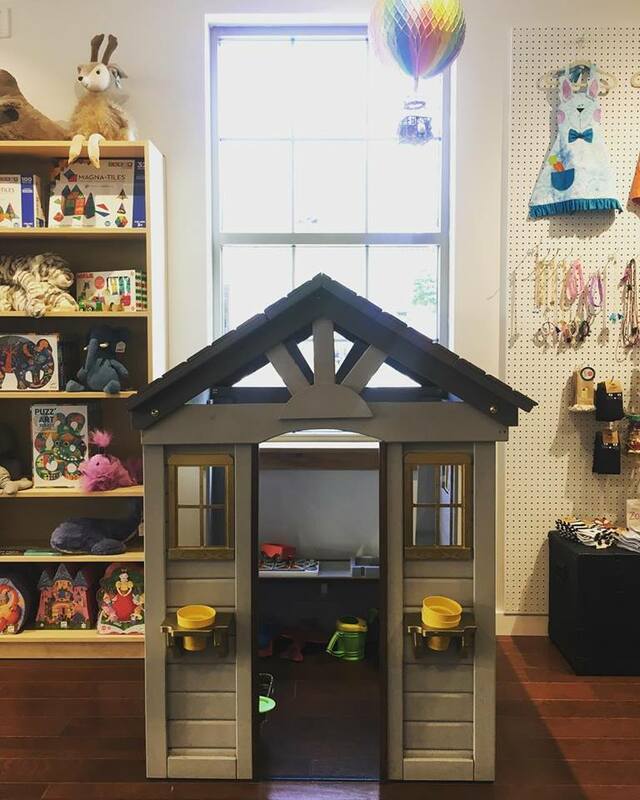 With imagination, innovation and nostalgia at our core, we feature a curated assortment of apparel, accessories and toys for young children for any occasion. We travel all over the US to bring approachable fashion back to our Middleton location. By featuring styles from over 30 vendors, we hope everyone will find something special that fits within their budget and style. From wood planes to unicorns tea sets, you will always find something special for your little one. An outfit is not complete without the right accessories. We showcase shoes, hats, bowties, backpacks, headbands, baby bandanas and more! Pairing beautiful product with a welcoming environment, we hope to remind adults and children of the joy and pleasures of childhood. Our boutique comes alive through moments of play, information about designers and other little treasures throughout the space. We specialize in sizes 2T to 8, but always offer a rotating assortment for baby and older children as well.